Artists Perspective of The Paragon Davao soon to rise in Matina, Davao City. 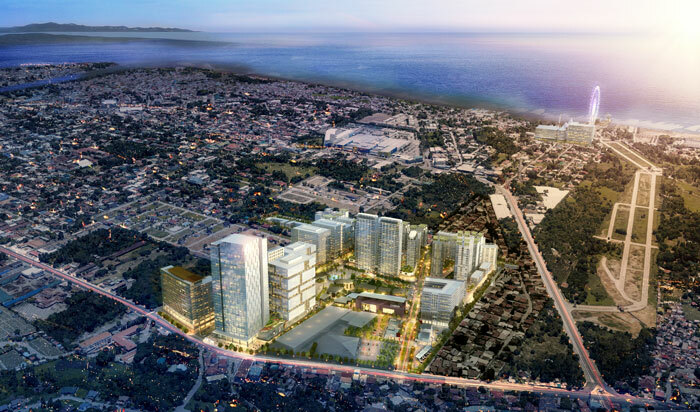 The Paragon Davao, foreseen to be the city’s lifestyle destination, is CLI’s fourth mixed-use development in VisMin and its second project in Davao City. Leading VisMin property developer Cebu Landmasters, Inc. (CLI) in partnership with Davao’s Villa-Abrille family through joint ventures YHEST Realty & Development Corp and YHES Inc., fortified its presence in Davao City as it kicked off two key landmark projects in the second fastest-growing economy in country in partnership with a prominent Davao family. 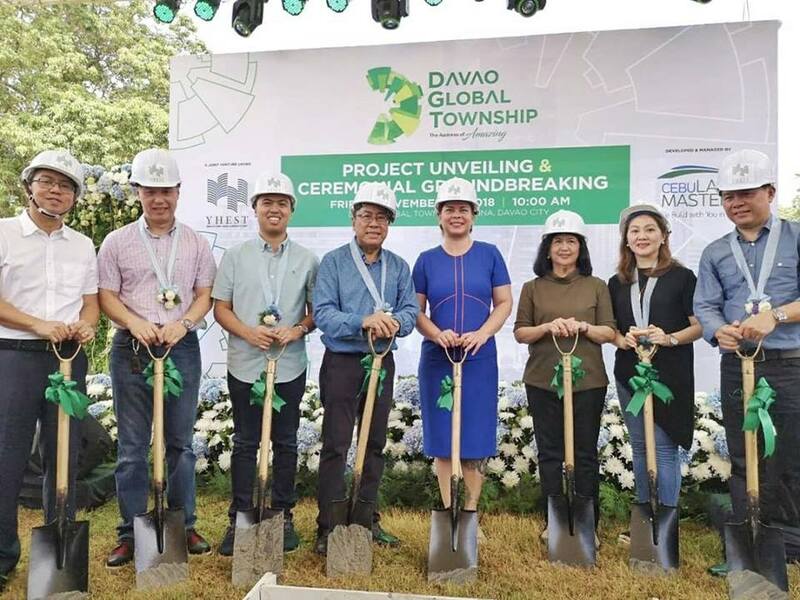 The partners broke ground, graced by Mayor Sara Duterte-Carpio, on a former golf course that will be transformed into the 22-hectare Central Business District called Davao Global Township (DGT) and unveiled a vibrant mixed-use lifestyle destination The Paragon Davao. 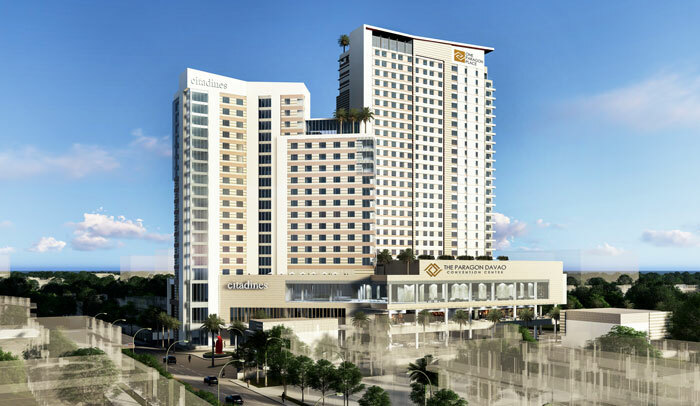 The latter will be anchored by a hotel managed by world-renowned The Ascott Limited, a residential tower, a lifestyle mall, and convention center. “The Soberanos are not only our partners, they are family to us,” highlighted Yuson. Members of the well-established Villa-Abrille family are heirs of Juna Villa-Abrille, among the premier city’s pioneer residents and one of the biggest landholders in Davao City. Juna was a trader, large-scale abaca planter who acquired a strategic landbank in Matina when a resident fleeing trouble in Mindanao sold him the property. His children eventually turned parcels of that property into a residential subdivision and a golf course, Davao’s first. They also donated key lots for civic and community projects to prime Davao City’s development through the years. Artist's perspective of Davao Global Township (DGT). central business district for Davao and the first estate development of CLI. The listed company is set to roll out more estate developments in VisMin. CLI and members of the family under the joint venture YHEST Realty and Development Corp. will commence Phase 1 of the 22-hectare Davao Global Township located in Matina district that will feature an office tower, two residential towers, retail buildings, a cineplex mall, and a convention center. These edifices will yield a gross floor area of 93,000 square meters at an estimated cost of P10 billion and are set for completion by the end of 2022. The township is close to downtown Davao City and is only a 30-minute drive from the Davao City’s Francisco Bangoy International Airport. with Davao City Mayor Sara Duterte-Carpio. Nearby is the mixed-use The Paragon Davao, which CLI is developing in partnership with Davao Filandia Realty Corp. and Yuson Strategic Holdings Inc. under the joint venture YHES Inc. The project is expected to help pump-prime economic activity in southeastern Davao City where Davao Global Township is also located. The Paragon Davao’s first phase, with an estimated cost of P2.6 billion, will house a 26-storey residential tower to be named One Paragon Place; a 263-room Citadines Paragon Davao to be managed by The Ascott Limited – one of the world’s leading lodging owner-operators; The Paragon Davao Convention Center; and The Paragon Davao Lifestyle Mall. The project with a 1.9-hectare lot area is set for completion in 2022. The lifestyle destination was conceptualized and designed by Callison RTKL in collaboration with top Philippine architectural firm RMDA. CLI’s partners said in previous statements that they had been approached by other developers but chose the Cebu-based listed real estate company because of its keen feel of the VisMin market. This is evidenced, they pointed out, by the quick take-up of their first joint venture project together in the city—the MesaTierra Garden residences in Davao—which is now 96-percent sold. In a press conference on Friday, CLI CEO, Joe Soberano revealed that at the onset of this project at least 2,000 employment will be generated benefiting directly the workforce of the city. Factors that may affect the locals like flood control, traffic management are all considered and solutions are now in place before construction will begin. 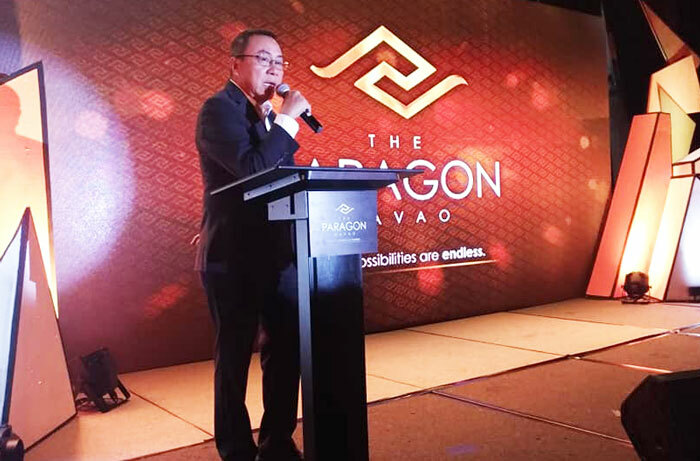 The Paragon Davao was launched on Friday in Marco Polo Davao with the projects main stakeholders, investment sales force, local and national media in attendance. OPM Artist, Ogie Alcasid and The Company entertained the keyed up guests for the night. Overflowing drinks and cocktails were also served. addressed the guests at the grand launch of The Paragon Davao. This project will truly change the landscape of the city as it sets the bar high affirming the next level lifestyle destination in the city.